This RV is very towable with a hitch weight of 1456 lbs, and the 18' 0" power patio awning opens easily to provide shade and comfort! The rugged GVWR of lbs. 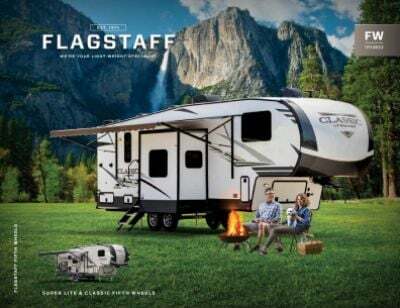 means it can handle your big family with ease and give you years of RV fun! Nothing beats comfortable living on the road! 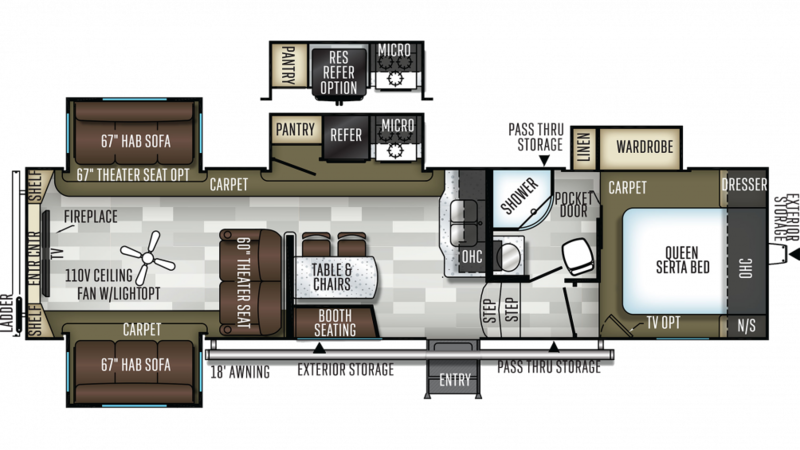 This RV is a roomy 36' 0" long and 8' 0" wide, with 4 slides that open easily to optimize the living space! Thanks to the modern 13500 BTU a/c unit, you'll stay cool on those sizzling summer days! When the temperature drops on those cold nights, the efficient 35000 BTU furnace will keep everyone toasty and warm! When you want a delicious, home-cooked meal for your family on the road, you'll have no worries on the road thanks to the kitchen that's one of the great features in this RV! The 3 burner range cooktop and the 8.00 cu. ft. refrigerator will let you stock your favorite foods and cook them anytime you choose! With the 60 gallon freshwater tank, you'll never run out of the water to clean, drink, and cook with!